Arlington is a billboard and advertising goldmine. 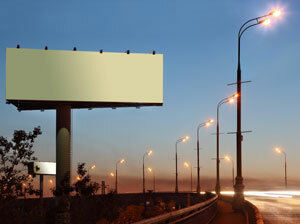 Being less than 20 miles from both Fort Worth and Dallas the effective advertising opportunities are limitless. Additionally, the high amount of traffic generated from Arlington’s sports arenas offer great exposure of your advertisements. Outdoor advertising near Cowboys Stadium or Rangers Ballpark in Arlington would produce great returns for your advertising costs. Another advertising opportunity would be utilizing billboards on Interstate 20 or on Interstate 30, both of which run through Arlington.